Logan Hitchcock breaks down the Friday slate of the baseball on the DailyRoto MLB Solo Shot, Presented by FantasyDraft. Come for the slate quirks, as well as pitching and hitting analysis, and stay for Logie’s Locks - a selection of bold predictions for the day in June 3 MLB DFS action! The MLB Solo Shot is a DailyRoto DFS Podcast, presented by Fantasy Draft - Players First, Daily Fantasy Baseball on a Level Playing Field. The Solo Shot is hosted by FSWA award winner and DailyRoto writer, Logan Hitchcock. 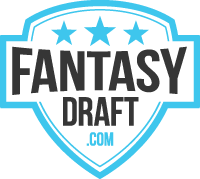 Logan is dedicated to providing the very best daily fantasy baseball analysis by taking you through a game by game breakdown of major league baseball action on every Monday, Wednesday and Friday of the baseball season.